What is a GREEN Landscape? In order to more clearly communicate what is involved in making a landscape truly sustainable, we have developed specific criteria that can be easily followed. We call it a GREEN Landscape. Using these criteria, you can have a lush and colorful landscape that is designed to not only be water efficient, but to actually positively impact our environment. This is a method of landscaping that goes beyond pure aesthetics by blending beauty with function. If you are someone who cares about the health of the environment, you know how important it is to make decisions that move us in the right direction. The decisions you make about what to do with your outdoor space is no different. It’s actually a huge opportunity to support a healthy environment! G – It’s built from the GROUND up, meaning special care is taken to ensure the long term health of the soil. Healthy soil is full of microorganisms that provide nutrients for the plants and it acts like a sponge, soaking up water easily and holding it there for when it’s needed. It eliminates the need for fertilizers, reduces the amount of irrigation required, and allows rainwater to quickly permeate into the ground. To build healthy soil, an emphasis is put on reducing compaction, avoiding chemical fertilizers and herbicides that harm soil microorganisms, and adding organic matter. Organic matter is added in the form of compost and mulch. Eventually, as the plants grow, they will feed the soil themselves with their own fallen leaves and debris. Because it’s hidden, soil is far too often overlooked when landscapes are built, but healthy soil is a critical factor in a GREEN Landscape. R – RAINWATER is captured and used on-site. Rather than letting rainwater flow off your property, it’s captured and used for landscape irrigation. This catchment system can be integrated into the landscape itself using swales, basins, or dry creek beds. It can also be done using rainwater harvesting tanks, which connect to your irrigation system. When it rains at most homes, the water is directed through downspouts towards a storm drain. Instead, in a GREEN Landscape it’s used on-site. This can dramatically decrease the need for artificial irrigation during the dry season and it also filters pollutants that have accumulated on roofs and other hard surfaces, keeping our waterways cleaner. The goal of rainwater management in a GREEN Landscape is to Slow it, Store it, Spread it, and Sink it. This keeps the water in the landscape which increases groundwater levels, helps plants through times of drought, and aids our watersheds in managing stormwater. E.E. – An ENVIRONMENTALLY EFFICIENT landscape goes beyond water savings. A GREEN Landscape needs to have a positive impact on the environment as a whole. Full plantings increase carbon sequestration and filter pollutants. Plants use carbon from the air to produce components that are necessary for them to grow. By having an appropriate amount of plants, a landscape can help the environment by removing carbon from our atmosphere. In addition, as water moves through the landscape plants help filter out pollutants, which keeps our waterways cleaner. Permeable surfaces for hardscapes are emphasized in order to increase groundwater infiltration which recharges our aquifers and to allow pollutants in the water to be filtered by the soil and plants. Decomposed granite, permeable pavers, and dry laid stone are encouraged as alternatives to impermeable surfaces such as concrete. Finally, low-maintenance and water efficient design reduces the demand for fuel, fertilizers, herbicides, and power. Every day, neighborhoods are filled with trucks driving from house to house maintaining yards. Gas powered equipment, fertilizers, and herbicides are used liberally in order to ensure high maintenance yards are kept looking nice. High water use landscapes also require more power for the pumping and distribution of potable water. Besides reducing water consumption, a GREEN Landscape is built to be an environmental steward. It’s made to be part of the solution for a healthier planet. N – NATIVE PLANTS are perfectly adapted to thrive in our dry climate. Luckily, California has a large and diverse selection of beautiful native plants to choose from. By selecting the right plants, your landscape will need less water and maintenance, while providing habitat for native species. Natives have special characteristics that help them minimize water loss and survive long dry periods. Silver or hairy leaves reflect sunlight. Stiff, small leaves trap moisture and help keep the plant cool. Some plants use solar tracking to minimize sun exposure on their leaves during the hottest part of the day. These adaptations make them appropriate for our dry climate. There are a few other regions in the world with climates similar to ours, and even though the plants from those areas are adapted to our long dry summers and cool wet winters, California natives are emphasized in a GREEN Landscape. This is because the native species that are particular to our region have co-evolved with our specific climate, animals, insects, soils, birds, and the other local plants. 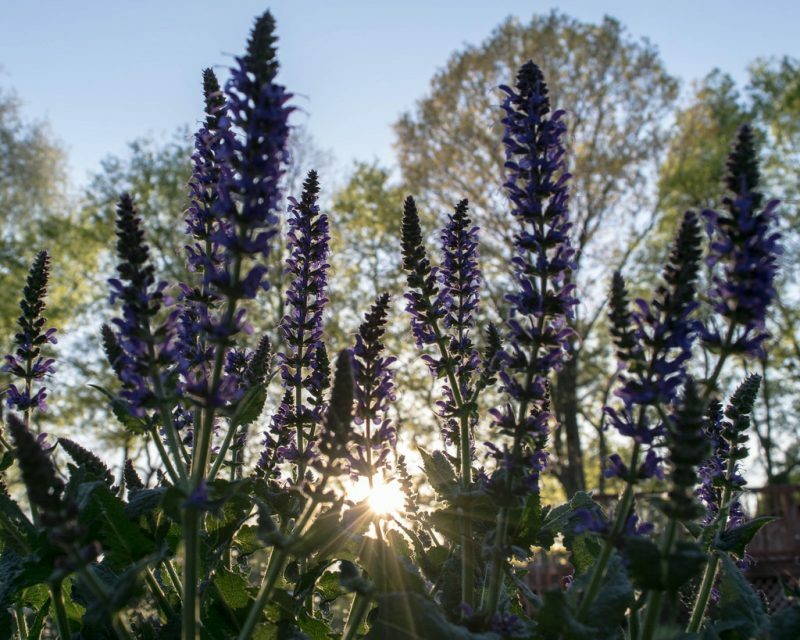 This makes them ideal for a low-maintenance, low water use landscape that provides habitat for fauna such as butterflies, bees, and endangered insects. While other climate adapted plants can be used in a GREEN Landscape, natives are heavily encouraged and make up the majority of the plant selection. With a shortage of fresh water and an ever increasing strain on our environment, it’s critical that we all make positive choices that will move us forward towards a more sustainable way of living. When beginning a landscaping project, the GREEN Landscape framework can be used to ensure your outdoor space is designed to work with nature instead of against it. Keep an eye out in the near future for additional resources related to GREEN Landscapes. In the meantime, don’t hesitate to contact us if you would like further information.